Maria Petate, Operations Manager at Valley Oak Wealth Management has 8 years’ experience in debt management and the financial services industry. 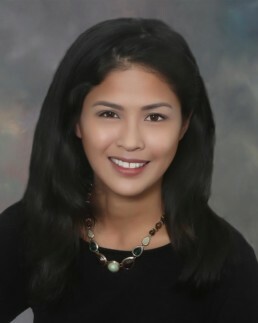 Maria enjoys helping educate clients on finance matters. She is detail-oriented and takes pride in every aspect of her work toward Valley Oak’s mission to guide clients on their journey to retirement and beyond. Maria served as a paralegal for 5 years in the debt management industry where she helped negotiate client’s debts and avoid garnishment. She later joined an LPL Financial branch in San Francisco as a Financial Associate and later as Operations Manager where she was responsible for account processing and servicing of customer transactions. Maria also assured that the back office operations, along with the branch, run efficiently and effectively. At Valley Oak Wealth Management, Maria continues her high standards of customer service and administrative support. She enjoys assisting clients every step of the way. Maria lives in Fairfield with her husband and two dogs, Jubilee & Dixon.